Just a week to go until Dorset Art Weeks 2014 and as usual there is a real buzz around the county’s artists, makers and art lovers. Brochures are out, the website is live and 300+ venues around Dorset are busy preparing themselves for tens of thousands of visitors. We always look forward to DAW and welcoming visitors to the Courtyard Gallery, there’s no better way of getting feedback than by opening your doors. This year, as ever, we are joined by other artists who’s reputations preceed them; our long standing co-exhibitor, the jeweller Liz Tyler and new to the Courtyard Gallery this year, the painter Jim Hunter. Jim was born and grew up in Co Durham, he studied painting at Winchester School of Art and then the Royal College of Art in the mid 1970’s. He then spent time in Paris, and it was through this period his enduring interest in modernism and the potential of abstraction grew. Landscape has been the predominant reference in his work and, throughout his career, he has maintained the practice of drawing directly from the landscape as the source for his ideas. In the work that he has exhibited in recent years intuitive and expressive responses have been complemented by more considered and protracted research in his studio, interpreting the landscape through an abstract and structured language. 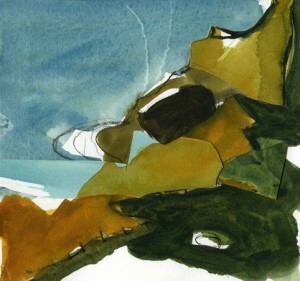 Current work has been in response to places as different as Iceland, Japan, Venice and of course, the Isle of Purbeck. Until very recently Jim pursued his practice as a painter alongside a career in art education, as Deputy Vice-Chancellor of the Arts University Bournemouth and now Professor Emeritus of Painting. Liz Tyler has exhibited with us here many times, her work is the perfect compliment to our furniture in terms of quality, skill, attention to detail and design. It’s not unusual for us to both sell to the same client, which tells its own story. 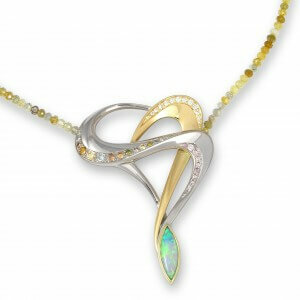 2014 sees Liz celebrating 25 years of creating her award winning sculptural jewellery. Following a Flamenco dance and drawing workshop-run by Dorset Visual Arts and Dance South West, Liz’s latest pieces have evolved with a more dynamic sense of movement in the flow of the designs. 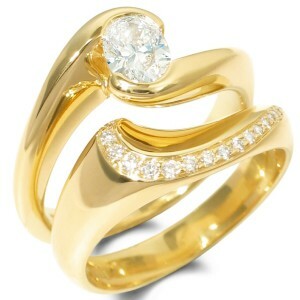 – Liz specialises in individual engagement and wedding ring sets and bold colourful dress rings, but specifically for this silver anniversary year is making some larger silver pieces again . As always Simon Thomas Pirie will be exhibiting stunning new work, but there will also be one or two speculative pieces that have reached the end of their showroom lives that we will be letting go at low prices. The workshops will be open to visitors to wander around and see work in progress. This year the workshops will be dominated by a very large elm and black walnut contemporary kitchen with two striking islands. The making team will working during the week so the place will be humming. 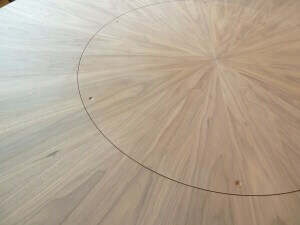 Our centre pieces in the showroom for DAW 2014 will be a stunning English walnut 2.0m diameter round table with a middle that spins. Round it will be 10 of our new ‘Gabriel’ dinning chairs in native walnut and sycamore. This is a commissioned piece for a client, but without a doubt the most beautiful dining set we’ve ever made, out of some of the rarest timber, so we really wanted to show it off. We will also be displaying contemporary dressers, desks, dressing tables, chairs, outdoor furniture and occasional tables, including our new experimental ‘black’ range, seen in the image above. 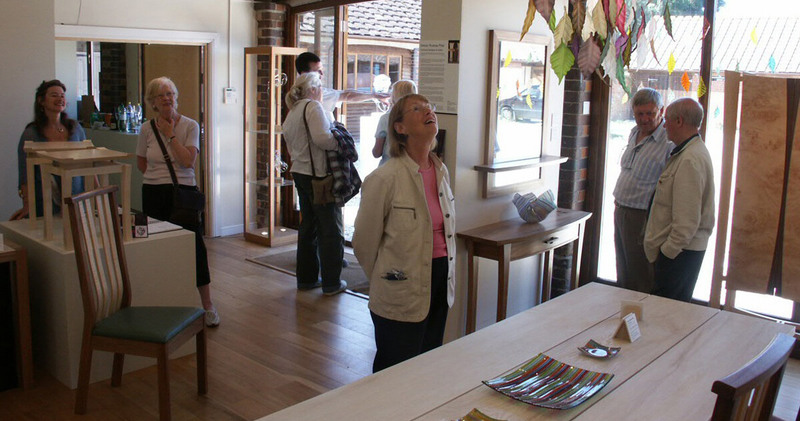 To see all the artists and makers exhibiting in Dorset Art Weeks 2014 visit the website and start planning your days out now! PS: We are now working with Winchester clients. 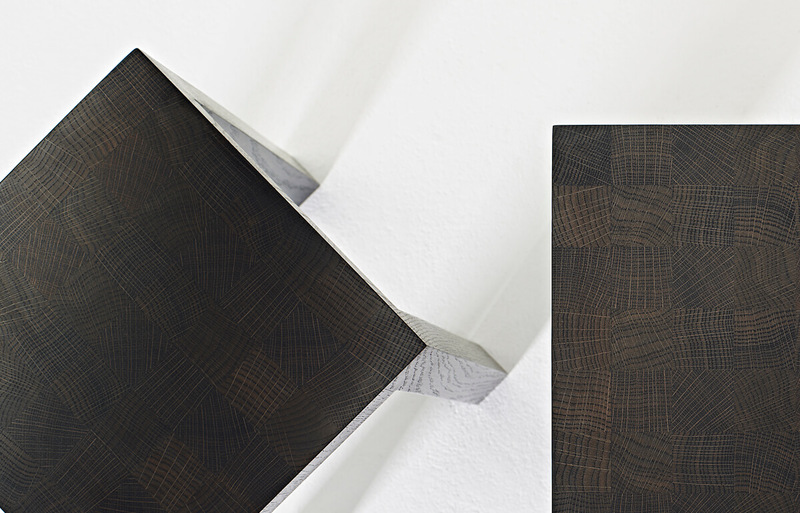 Click here if you live in Winchester and would like to talk about bespoke furniture.